UNICAF is offering you the opportunity to win a full scholarship to study for your Master’s in Business Administration. 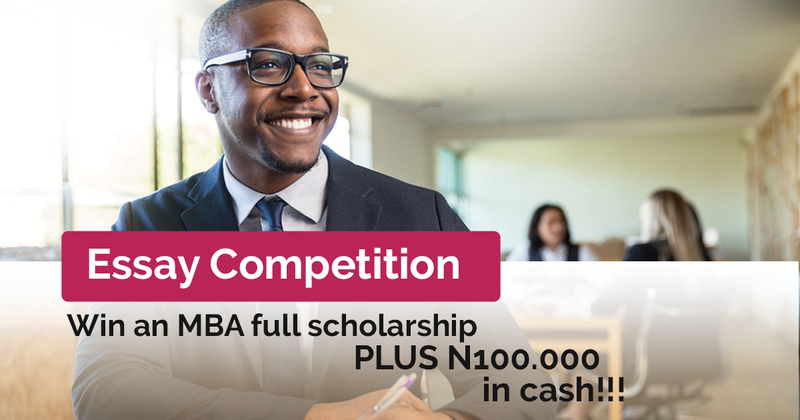 Take part in the UNICAF essay competition ‘Higher Education of international quality shaping the leaders of tomorrow in Nigeria and in Africa’, for a chance to study for your MBA online, with multi-campus Unicaf University at zero cost, and receive an additional monetary prize of N100,000 in cash! No need to give up your job and salary, or leave your home and family. UNICAF provides you with access to study materials 24/7, via the Virtual Learning Environment, a state-of-the-art digital platform, which also facilitates interaction with tutors and fellow students from around the world. With the wide choice of MBA specialisations available from Unicaf University you will be spoiled for choice. In addition to the classic Master’s in Business Administration degree programme, you can choose between the following specialised MBA degrees: MBA Management, MBA Health Management, MBA Management Information Systems, MBA Finance, MBA Oil & Gas Management, as well as the Master’s of Public Administration, designed for professionals employed in the public sector. The second and third winner of the competition will receive UNICAF scholarships to study for any online Professional Development short course of their choice with Unicaf University. There is a variety of short courses on offer in the fields of Management, Information Technology and Education. The UNICAF essay competition is open to all final year BA students and Bachelor’s degree holders in Nigeria. Send you entry to essay@nigeria.unicaf.org before the November 30th, closing date of the competition. Visit apply.unicaf.org/competitions/mba/index.html to find out the rules of the competition. Study with Unicaf University to build the career and life of your dreams. Become an agent of change for yourself, for your country, for Africa! Now you can! Amazing Opportunity to earn a Scholarship. Complete the following required fields to apply for a UNICAF scholarship for the programme of your choice.